Range Rover’s new Evoque will be driven, in the most part, around well-to-do West London and the swankiest suburbs this side of Millionaire’s Row. You know that. I know that. Even Range Rover know that. 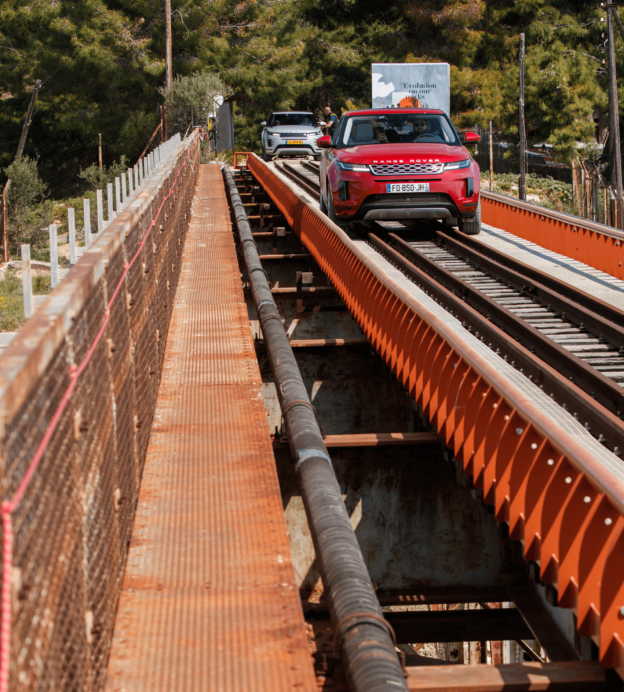 So why I’m driving across a condemned Greek railway bridge in the redesigned SUV is quite beyond me. Not that I’m complaining. 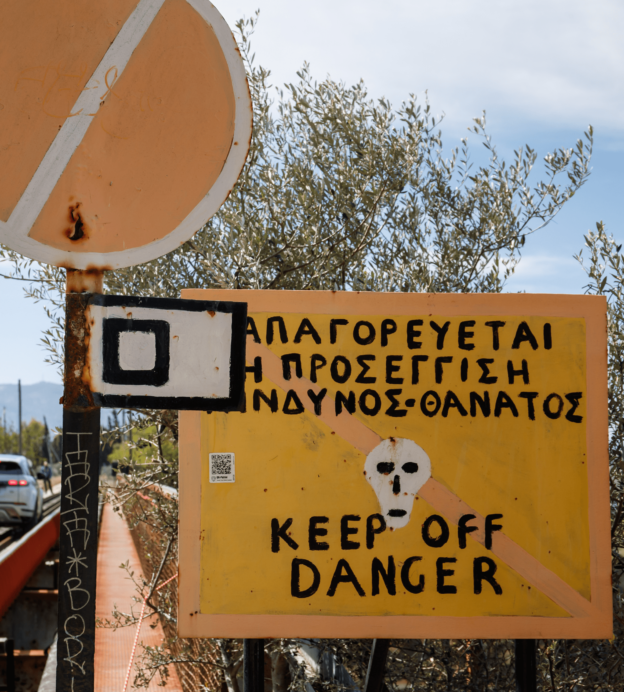 It’s quite the adventure, bypassing hand-drawn skull-and-crossbones warning signs and trundling across the Corinth Canal, 40 metres in the air. And, if I’m being honest, I do know why I’m here. 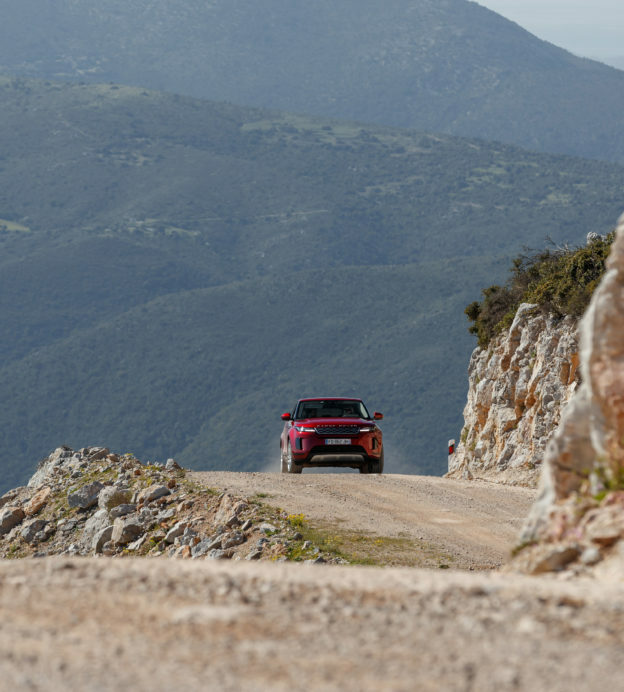 It’s because, despite Range Rover knowing that their new Evoques won’t be crossing fords and scaling mountains any time soon, they want you to know that these feats are still well within the car’s four-wheel-drive, low-slung abilities. The first Evoque (get ready to feel old) was released in 2011, and this facelift is well due. 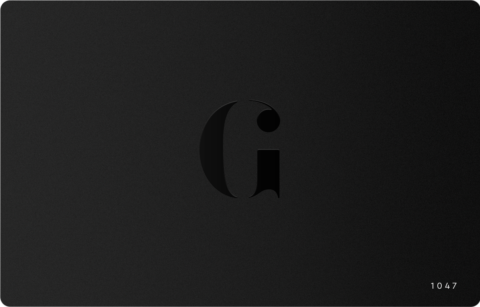 The original was starting to lose that jaw-dropping, head-turning quality it had when it first launched to love-hate reactions almost a decade ago. This new model, slightly more reductive in its design, brings Range Rover’s smallest offering bang up to date. 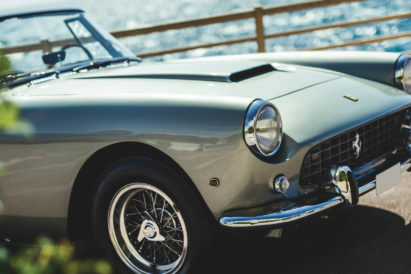 And there’s nowhere better to inspect those curves and cues than under the unforgiving glare of the Greek sun. Of course, the enduring silhouette remains. 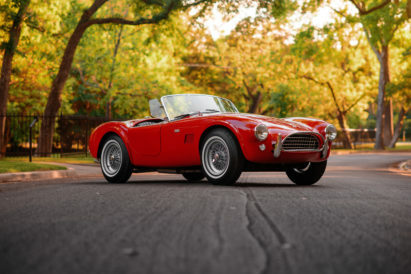 The distinctive fast roofline and rising waist are still very much present, and the pronounced shoulders hunch over the powerful wheel arches to remind us, yet again, that this four-wheeler is wilder than your average Chelsea tractor. What’s new are the super-slim Matrix LED headlamps, offering a more sophisticated front and rear to the car — something the sculpted, flush door handles also work to drive home. The rear of the car has also been given a striking black accent, adding an illusion of width to the new Evoque. Overall, the size of the car is really something to behold. 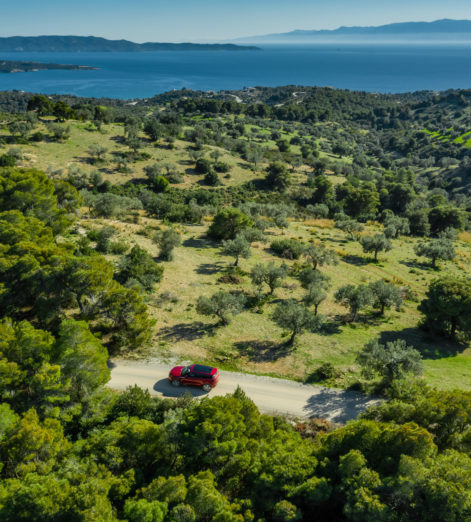 Under 4.5 metres long, it’s around the same size as a Volkswagen Golf — a truly compact car, and a characteristic you’ll undoubtedly appreciate if you frequently find yourself nipping along cliffside roads several hundred miles outside of Athens. 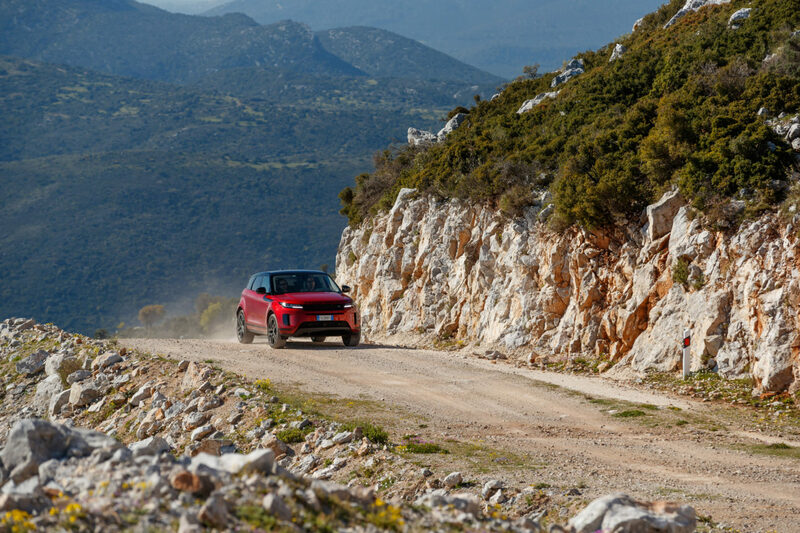 Speaking of the drive, let’s talk off-roading. Yes, we know what we said about Chelsea tractors, but Range Rover really outdid themselves to prove the rough and readiness of this latest Evoque, so it’s only fair we talk about it. 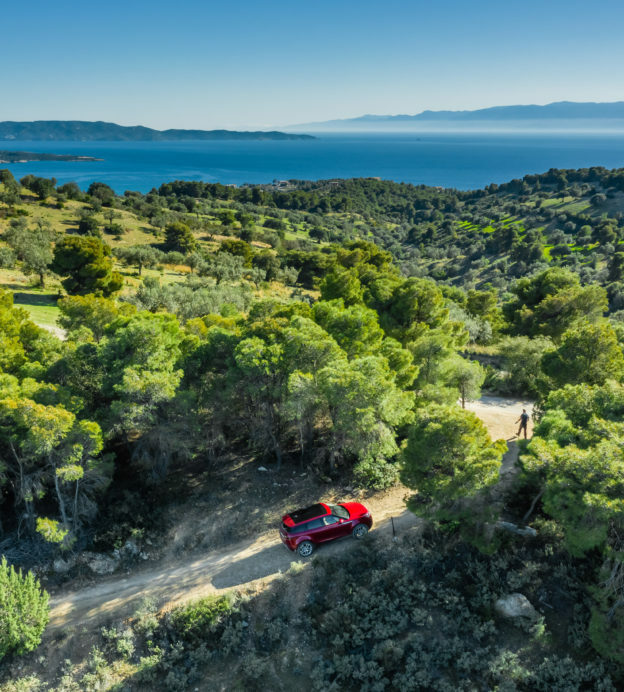 All-wheel drive, and a second-generation Active Driveline marry together in the car to create a really rather special driving experience. Crossing the bridge, powering down off-road mountain tracks, rolling down stretches of steaming highway; the in-built adaptive dynamics will keep you at the peak of comfort at all times. Even if you find yourself splashing downstream in a rocky Greek river — which, obviously, I did — you’ll enjoy a commendably smooth ride. And a dry one, too; this latest iteration can wade through water 10 centimetres deeper than its predecessor. 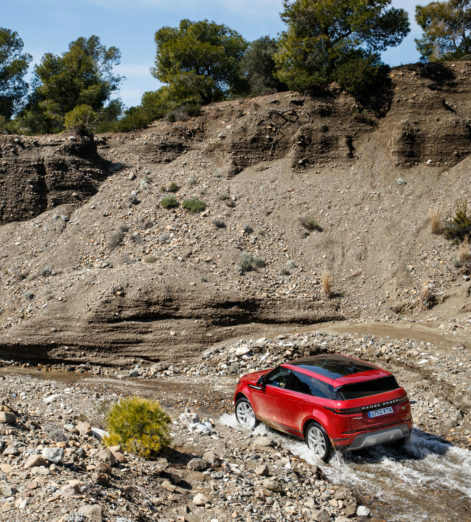 But don’t let the Evoque’s ability to crunch its way through forests and master rivers cloud your judgement of its eco-credentials. 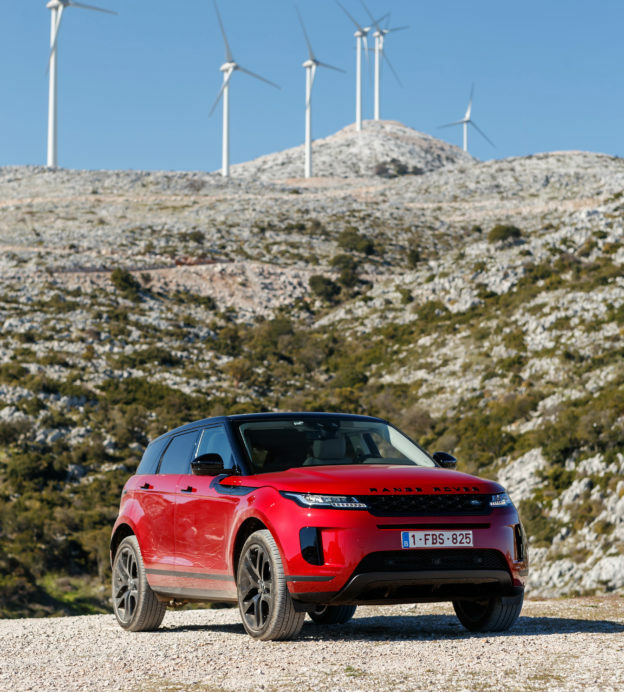 It’s actually incredible environmentally friendly — and most of the new Evoque models are fitted with an MHEV system to reduce emissions. This technological advancement is a first for Range Rover, and works by storing the energy normally lost during deceleration in an under-floor battery. And, even if this development doesn’t meet your green requirements, keep your eyes peeled for an even more efficient plug-in hybrid model, arriving before the end of the year. And then we come to the interior. Range Rover have never been ones to skimp on luxury, and try to pair practicality with decadence wherever they can. 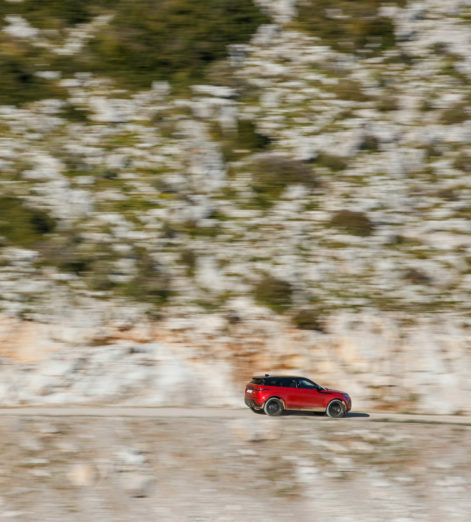 This is no different with the new Evoque, and you’ll find uncluttered surfaces and sumptuous materials come together to create the feel of a compact town car rather than an SUV. 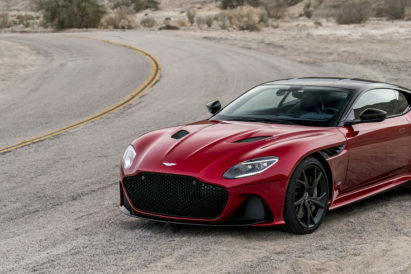 In front of you, a state-of-the-art Touch Pro Duo infotainment system occasionally threatens to distract you with its two high-definition touchscreens, but their functionality and intuitive operation will outweigh any real criticisms you might have. Elsewhere in the cabin, everything is as eco-minded as the engineering. If you see leather as being synonymous with luxury, you’ll likely be disappointed, but the eucalyptus textiles and responsibly sourced Kvadrat wool blends more than pass for plush, and come without ecological headaches. 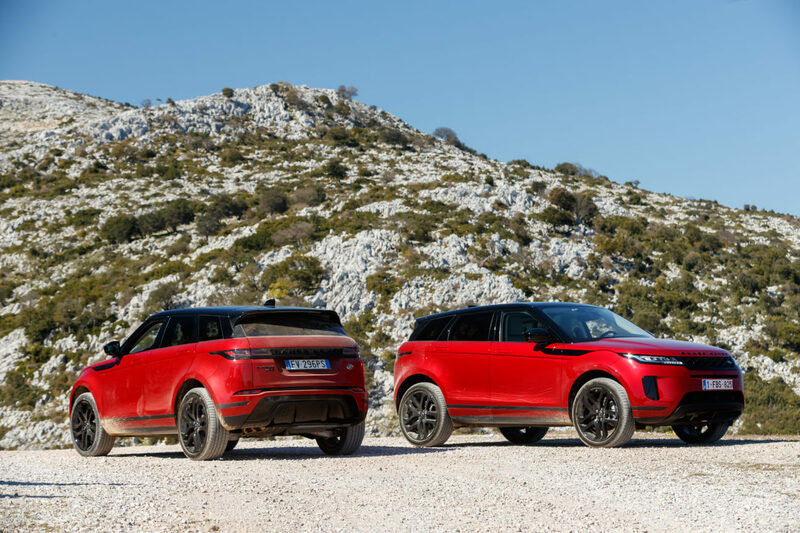 So, between the new tech innovations and typically Range Rover luxury, this is a worthy addition to the carmaker’s collection, and a timely update of the Evoque marque. 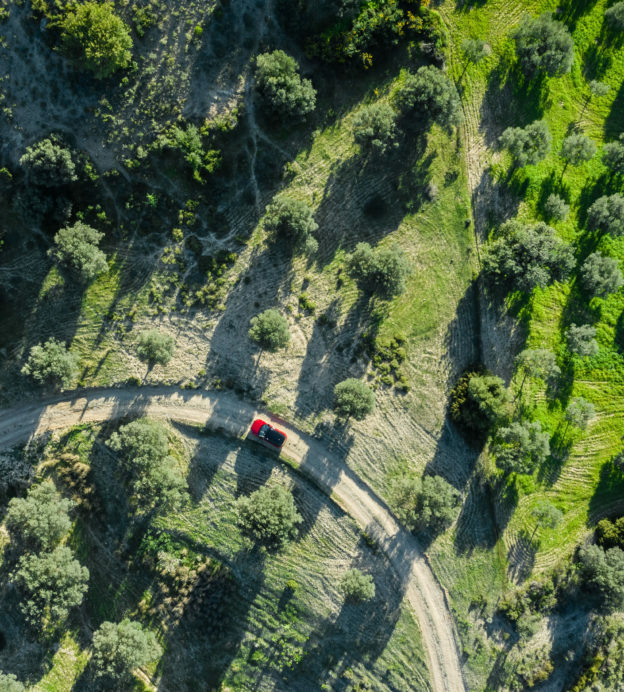 And yes, while the worst bumps you’ll throw at it will likely be in 20 zones, know this; it took us on a rocky, off-road Greek odyssey and lived to tell the tale.